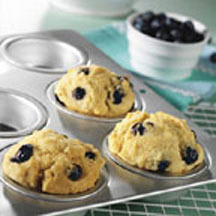 CooksRecipes has quality, kitchen-tested recipes for diabetic-friendly muffins that you can count on for accuracy and deliciousness. 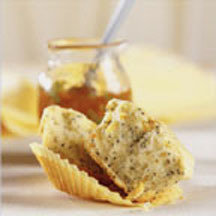 It takes no time to whip up a batch of these tasty muffins for your family or friends. This is such a delightful and lemony muffin, you won’t even notice that it has but a fraction of the sugar and calories of a regular muffin. 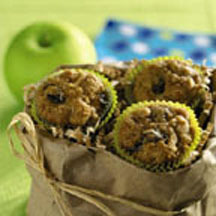 Just the right amount of spice and a sprinkling of raisins give these bite-size muffins the robust flavor of an old-fashioned apple cake.